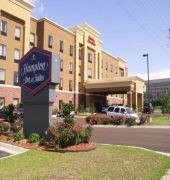 LocationSituated in the city centre, the hotel is close to Rosalie Mansion, Stanton Hall, and Longwood. 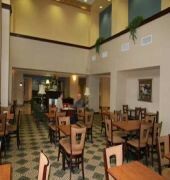 Area attractions also include the Old South Winery and Natchez National Historical Park.FacilitiesThe hotel features 86 accommodation units. A lobby and a reception are available to guests. The upper floors are easily accessible using the lift. Amenities include a cloakroom and a safe. Internet access and wireless internet access are available in the public areas. The hotel offers a range of amenities for a comfortable stay, including gastronomic options such as a restaurant, a breakfast room and a bar. 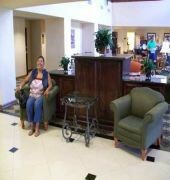 A newspaper stand is also among the amenities at the hotel. Guests arriving in their own vehicles can park in the car park. Other services include room service. There is a business area with a conference room and a business centre.RoomsAll rooms feature air conditioning, central heating and a bathroom. The carpeted accommodation units feature a queen-size bed, a king-size bed or a sofa-bed. Cots are available for children. In addition, a mini-fridge, a microwave and tea and coffee making equipment are available. An ironing set is also available to guests. 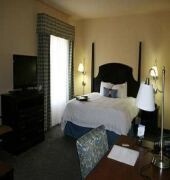 Convenient features include internet access, a telephone, a TV, a radio, an alarm clock and wireless internet access. Wheelchair-accessible accommodation units are also bookable. In each of the bathrooms, guests will find a shower, a bathtub and a hairdryer.Sports/EntertainmentThe hotel offers a selection of sport and leisure opportunities. 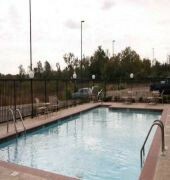 The hotel features an outdoor pool. Sun loungers provide a great place to sunbathe. Leisure options available to guests include a gym. A wellness area with a solarium is available. MealsBreakfast is bookable as a board option.PaymentThe following credit cards are accepted at the hotel: American Express, VISA and MasterCard.